At 1st Choice Personnel our new way to work focuses on customizing staffing solutions to maximize your company’s performance, service, and ultimately, the bottom line. Working in collaboration we develop flexible and dynamic plans to accommodate your specific staffing and employment needs. 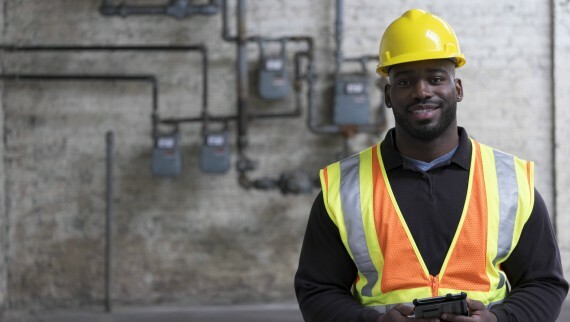 Whether you have a complex job site requiring on-site staffing management, openings for skilled or light industrial labor, need assistance with pre-employment recruiting and screening, or employee testing and evaluation, we can help. 1st Choice Personnel will tailor a staffing solution for your company that includes any or all of the following services. If you don’t see exactly what you’re looking for, just ask. For ultimate convenience on more demanding jobs, a dedicated 1st Choice Personnel representative can be based at your facility for help with all of your staffing management needs. For when you need help the most, check-in personnel ensure every job starts on time and fully staffed. For short or long-term projects, when and where you need them – each and every time. 1st Choice Personnel's comprehensive computer-based skill testing helps you to hire more productive workers, reduce turnover and minimize hiring and training costs. 1st Choice Personnel has the experience and resources to handle all aspects of drug testing for a wide variety of needs. We utilize the most advanced reporting and management systems available including 5 and 10 panel testing. Scanned, biometric, or swipe cards – collect, track, manage and process employee time data efficiently and accurately. 1st Choice Personnel can design and implement your Employee Benefits Program to include: Holiday/Longevity Bonus Programs Safety Incentive Programs Attendance Incentive Programs 1st Choice Personnel is in full compliance with all aspects of the Affordable Care Act (ACA). Large jobs or small, locally, regionally, or nationwide, we look forward to providing an excellent selection of candidates ideally suited for all of your staffing needs. Contact us today to learn more about our customized staffing services.